The Kids for Coltrane Afterschool Program welcomed our first guest speaker on January 20, 2012 at the Holliswood School. Musician Stix Bones spoke to the children during our after school session sharing his life story and talent. Stix is a gifted drummer who agrees that jazz is America’s classical music and students all over should study its history and listen to the music. The first jazz drummer who had a powerful influence on the artist was a member of the John Coltrane Quartet…Mr. Elvin Jones. We are grateful to Mr. Bones for visiting us. It was a most illuminating and enjoyable day! The Kids for Coltrane will be welcoming more guest speakers throughout the year. 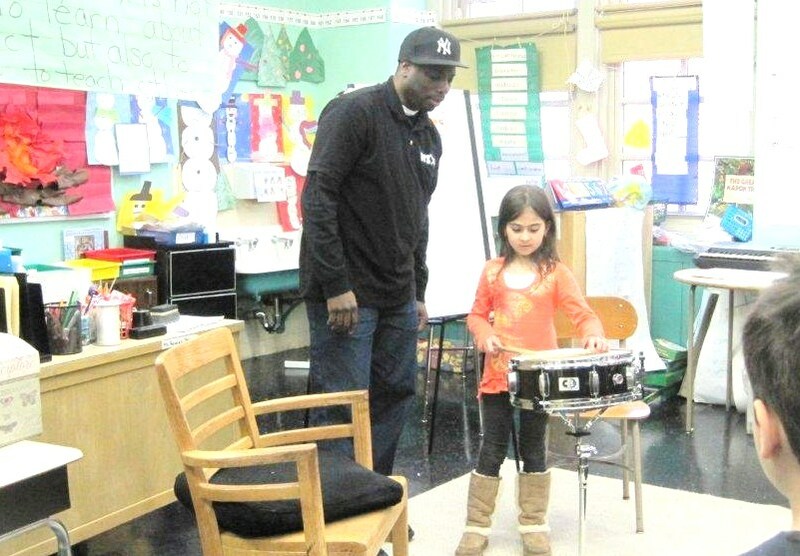 Our special guest speaker teaching Jessica how to play the drums. The children enjoyed getting drumming tips from Stix Bones. 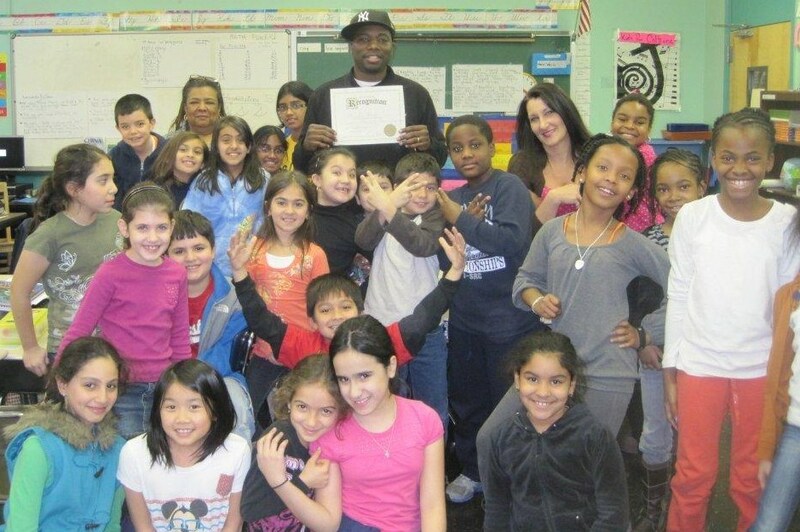 It was a learning experience that the Kids for Coltrane will never forget!